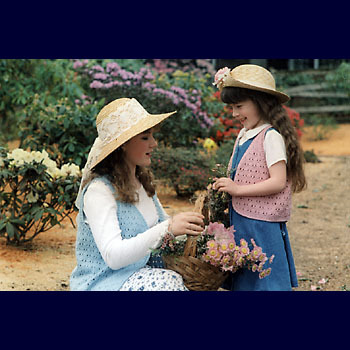 Lacework is one of the most rewarding types of knitting. Not all lace patterns are difficult to master, although some can be very challenging but definitely worth the challenge. Most lace work is acheived by generous application of yarn overs, with some patterns requiring quite close attention on the lace rows. 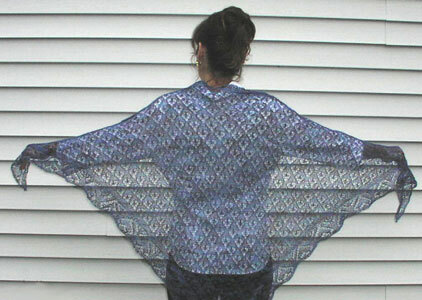 Alpaca Yarn Company Snuggle Winter Lace Pullover pattern. 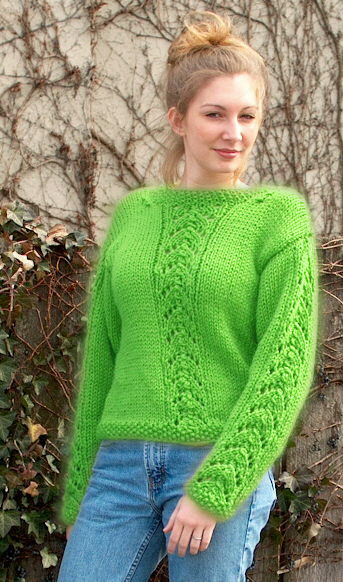 Patterns knits to a womens size 34 - 50 and uses between 6 and 9 balls of Snuggle knit on a 10.5 circular needle. 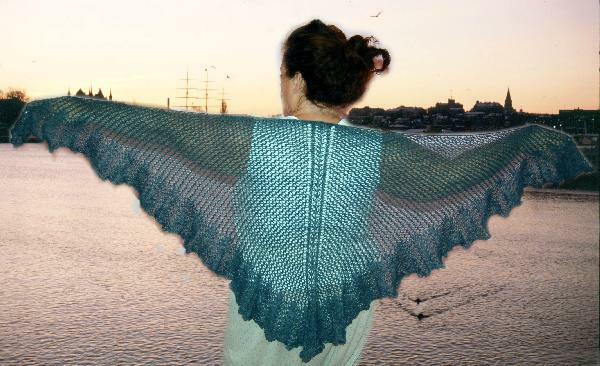 Cherry Tree Hill Elfin Lace Shawl knits to a finished size of 54 x 54 x 72 inch triangle. This pattern requires 2 hanks of Suri Alpaca. 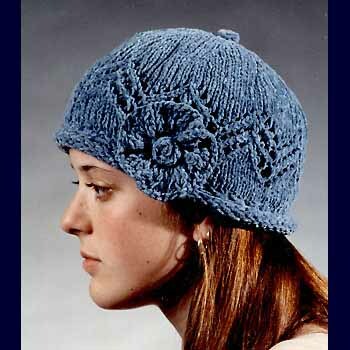 Lacy cap designed by Bev Galeskas, quick knit in your choice of two lace patterns. 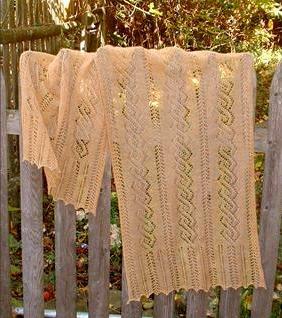 Description: These three easy lace patterns will make a whole wardrobe of scarves. Pattern stitches are reversible so your scarf will have no wrong side. Light summer vest designed by Bev Galeskas.